We know, some of you are saying of course there are no Mermaids. Or, even if you believe in Mermaids, that's not the point. The point is a federal agency had to take the time and effort to publicly refute the existence of Mermaids--and they acted quickly. The National Oceanic and Atmospheric Administration (NOAA) is a big agency with almost a $6 Billion dollar budget; that is 6 times the amount of the Bureau of Land Management (BLM). This is what is interesting to us, the BLM actually embraces Bigfoot. It should be noted NOAA and BLM work under two different departments; Commerce and Interior respectively. The National Ocean Service, a scientific agency of the Commerce Department, felt compelled to make the somewhat obvious statement in a response to a rash of inquiries made after a spoof documentary was broadcast on US television. 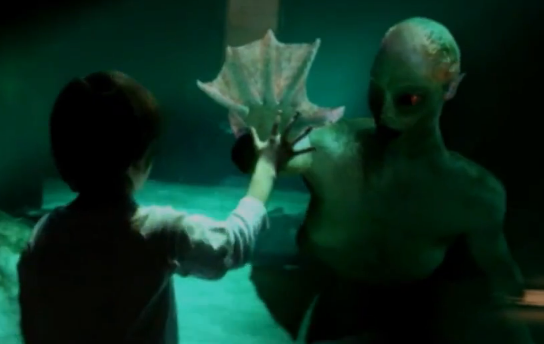 "No evidence of aquatic humanoids has ever been found," the NOS said in a post on its website. The conclusion was apparently not based on research but was drawn from publicly available resources. "We don't have a mermaid service programme," a spokeswoman told the BBC, prompting sighs of relief from American tax payers. The official statement can be found on the NOAA website. Why go through the effort to squash public opinion over the reality of a cryptid? Why act so quickly? There is the conspiracy theory that mermaid proof would hurt commerce. There is the scientific theory that there is enough evidence to support Mermaids (less than Bigfoot even). And finally our theory, they, as an agency, are just too inexperienced in dealing with cryptid inquiries. If there is any federal agency that knows how to embrace a cyptid, it is the BLM. 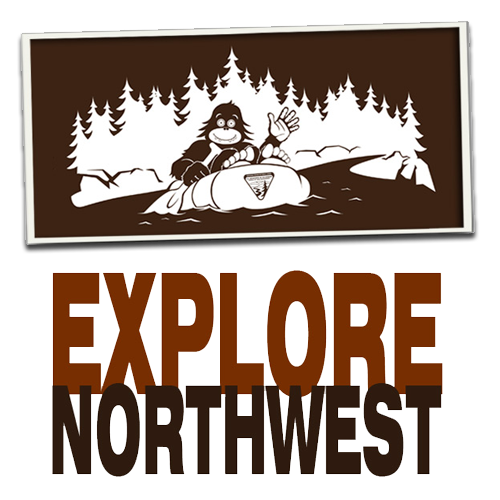 Yep, that is Bigfoot riding a raft down a Northwest river. The above artwork is on the title banner of BLM's blog. There are other examples of the BLM embracing Bigfoot. 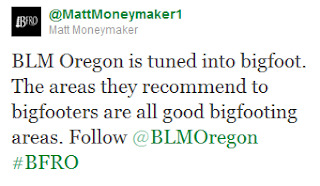 The video below titled, "Bigfoot and the BLM" was actually produced by the BLM. 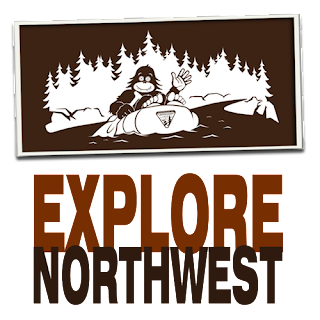 The video even recommends three areas to investigate Bigfoot; 1) Rogue Wild and Scenic River, 2) Table Rock Wilderness 3) North Umpqua BLM Campsites. 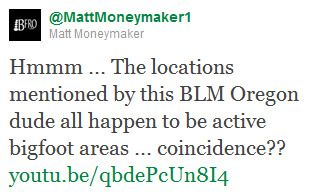 Even Finding Bigfoot's Matt Moneymaker seems to think that the BLM are on to something.